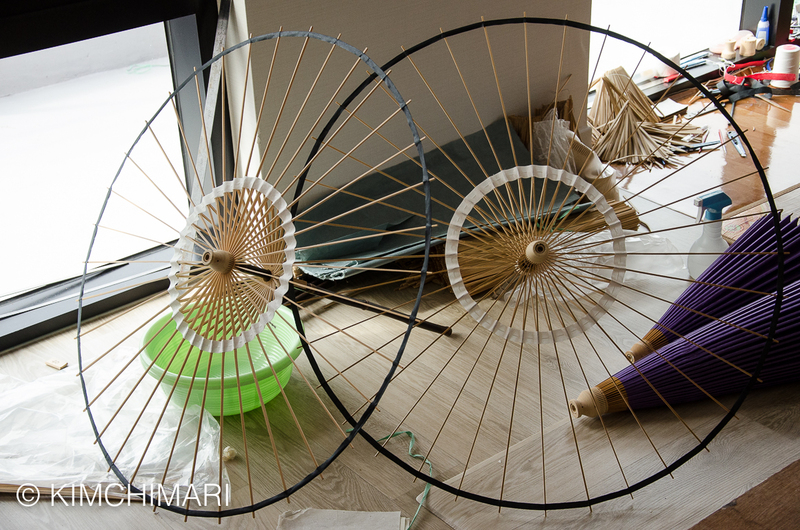 On Day 2 of my visit in Jeonju, my sister wanted to visit a Korean paper umbrella Artisan. Mr. Yoon is the only living traditional Korean umbrella maker in Korea. 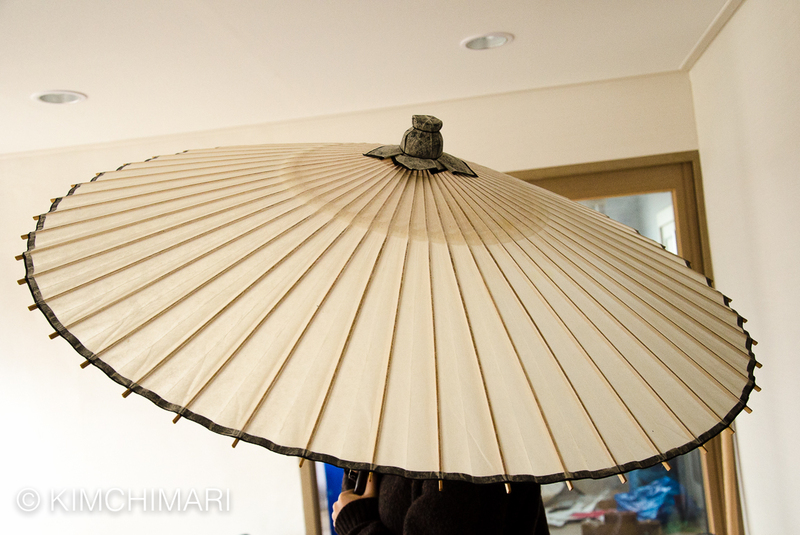 This traditional umbrella is called Jiwusan (지우산) in Korean. Honestly, this is the first time I even heard of it. In the days before plastics and vinyl, when tigers smoked cigars ( FYI – this is an expression that Koreans use to refer to a time SO long ago that things were SO different that even tigers smoked cigars!! 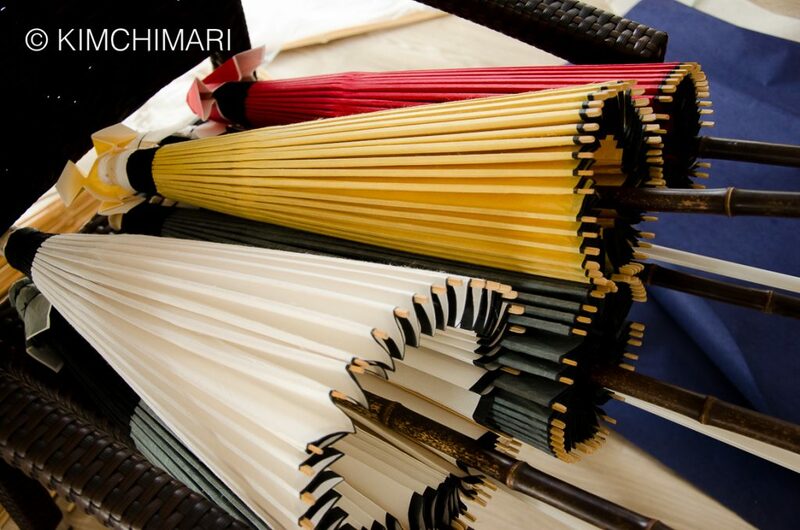 LOL), Koreans used paper umbrellas made from oiled Hanji and bamboo. 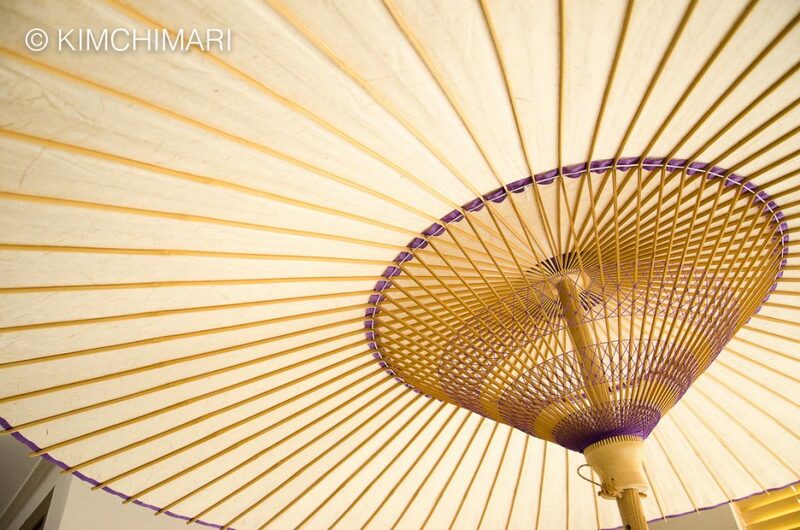 The oiled Hanji paper is used to make the canopy and bamboo is cut and made the ribs and stretchers of this beautiful umbrella. 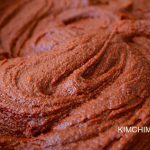 Besides bibmbap, Jeonju is also known to have the best Hanji because Jeonju grows very high quality paper mulberry trees (Daknamu 닥나무), from which the Korean paper Hanji is made. 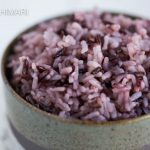 I have always LOVED Hanji – it has such a natural, rustic but elegant feel to it. And NOT only is Hanji pretty, Hanji is known to be extra durable as the following sentence suggests. 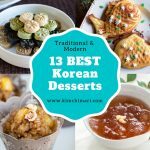 “Listed as Korea’s National Treasure No. 126, the Buddhist book Pure Light Dharani Sutra was printed onto hanji in the year 704 and is still in good condition today (wikepida)” – WOW, that’s after 1300 years!!! 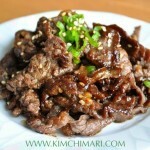 So, for the umbrealla, a thick Hanji is coated with perilla or soybean oil and dried. It takes over 20 days just to dry this oiled paper for the umbrella. Overall, I learned that making this traditional Korean paper umbrella takes over 80 steps!! Below is the sign that was outside Mr. Yoon’s home. 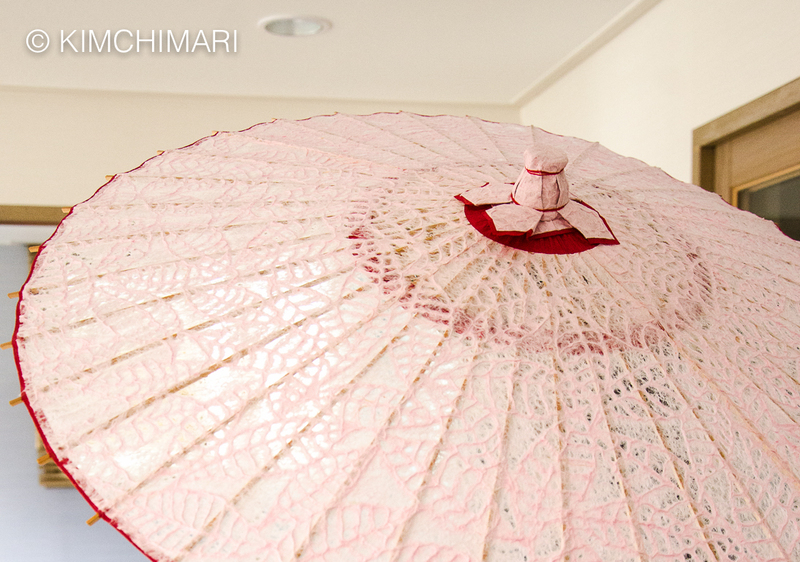 Mr. Yoon, Kyu Sang has been making these wonderful paper umbrellas for over 70 years. Recently, he has been awarded a living National Treasure status by the Korean government. 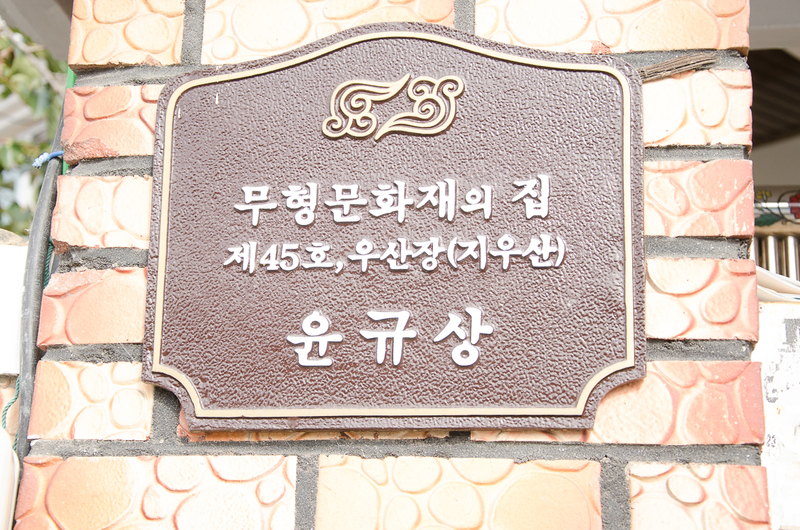 His official title is ‘Intangible Cultural Asset‘ (무형문화재 Muhyeong Munhwajae) #45. And that’s what this sign states. 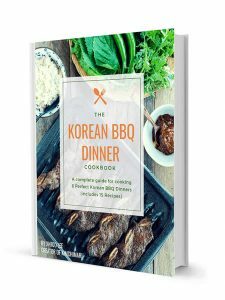 Mr. Yoon’s residence was located in the outskirts of Jeonju where fields of vegetables and homes all coexisted. As we parked and started to walk down the street, I was delighted to run into a very familiar scene. 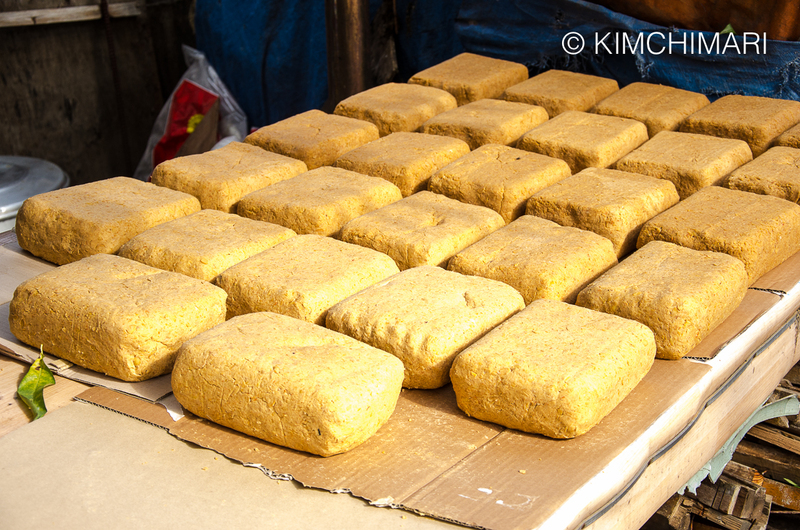 Korean Meju (Fermented Soybean) blocks being dried in the sun!! Immediately I started taking pictures of these blocks and the neighborhood ajumas started to come out and look at me. “Sure, go ahead, take as many pictures as you like!” as they laughed and looked at me strangely…. Going back to umbrellas.. 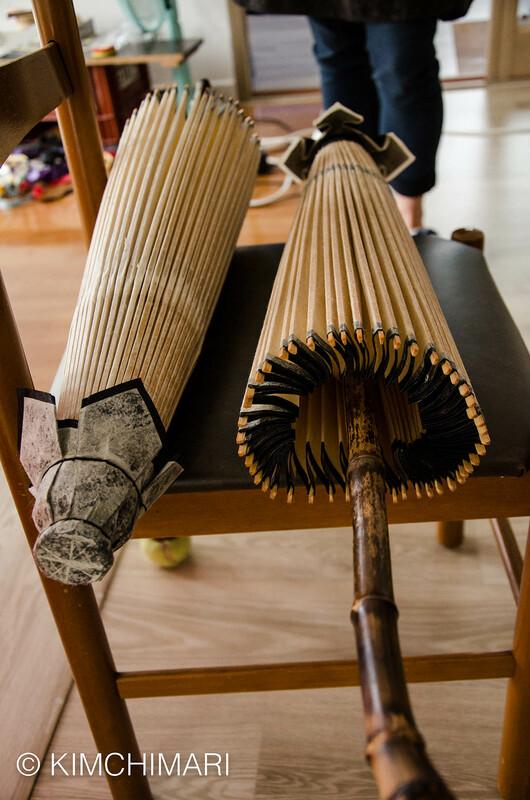 I have never seen a traditional Korean paper umbrella being made and it was just such a awesome sight to see a true artisan at work. Mr. Yoon had this very simple one room studio where he created these umbrellas that looked..oh just, too pretty to use.😍 He really did not say much but his creations did all the talking to me. 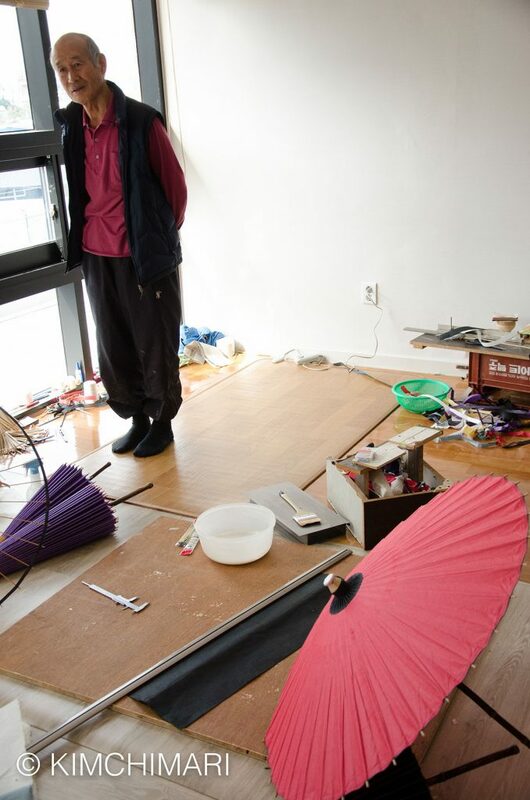 I was sad to hear that he is the last, the one and only, living Korean umbrella artisan in Korea. But his son has decided to learn the trade so I am very hopeful that this beautiful art will be passed on for generations. 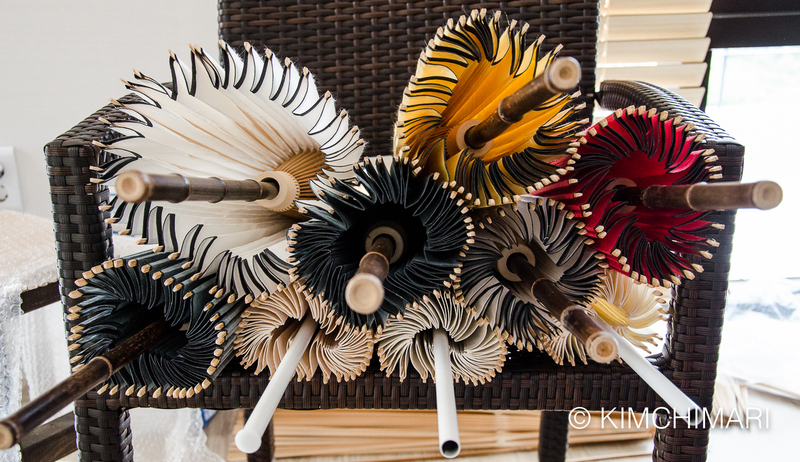 Well, I hope you enjoyed my photos of my visit to Jeonju’s umbrella artisan and these exquisite Korean umbrellas called Jiwusan. 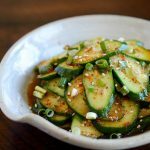 Finally, here’s a post by a Korean blogger after her visit to the Jiwusan Korean Umbrella Exhibit that was held in Seoul in June, 2016. 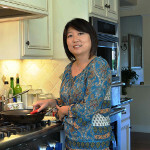 You can see more beautiful pictures of Mr. Yoon’s creations. Hi Jinjoo! 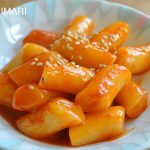 I just moved to Jeonju and found this post after making some gamja jorin (though I may have used the wrong potatoes.. Not sure what variety I bought at emart!). How cool that Mr Yoon works here! The umbrellas are beautiful! It’s a cold,wet, November day in Virginia, but for a few minutes I got away to Mr. Yoon’s workshop, and through your eyes got a glimpse of his too ephemeral art. 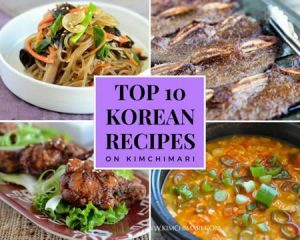 I’d love to learn more about Korea’s national treasures. 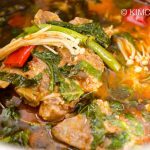 Thank you so much for sharing your recipes and stories. Your love for, and pride in, your homeland and culture shine through in all of your posts, and always leave me wanting to know more. That is exactly what I was hoping to hear!! 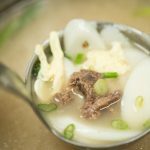 As I was posting it this morning, I was wondering if anyone would be interested in such a post since it is not related to food…but I was still hoping. So thank you very much for your comment. It really made my day!! Hope you have a good one!